North West Classic Car Storage offer secure storage facilities for owners of classic and performance vehicles in Bolton, Wigan, Rochdale, Stockport and the wider Greater Manchester area. Our individual climate-controlled garage units are available for short and long term periods with tariffs starting from as low as £100 per month. There are many reasons why clients may require a secure storage solution for their cherished vehicle; this could range from moving abroad for work or a lack of storage space at home to a change of family circumstances or simply the need to store a valuable car indoors during the winter months. 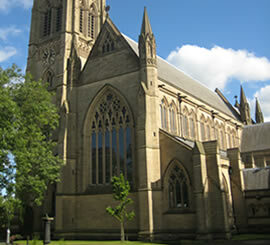 Whatever your situation we have the experience and facilies and expertise to deliver a complete 'peace of mind' service. Our manned facility is conveniently located a short drive from all of the above towns and within easy reach of the M60 and M61 corridors. Find out more about the benefits of storing your vehicle with us by reading our Secure Storage page. Prospective clients may also be interested in our supplementary vehicle care and maintenance services that include MOTs, resprays, retrims and upholstery work, detailing, diesel particulate filter (DPF) cleaning and assistance in sourcing rare and hard-to-find car parts. 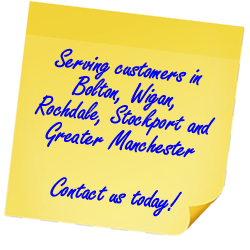 Our friendly and helpful customer service team can be contacted on 0161 567 8910 or by completing our online contact form. Keep your precious vehicle safe - reserve a space with us.